The young Saudi innovator has been challenging stereotypes by passionately helping advance technology. Another affirmation that Sadeem AlMarri is breaking barriers in the biotechnology field at an impressively young age is her presence on the latest ‘Middle East’s 30 Under 30 List’ compiled by “Forbes.” The 23-year-old Product Analyst is one of the three Saudi women that made it onto the achievement list, which includes young game changers in many fields. Considered as one of those who have “left an indelible mark in the economy,” AlMarri was placed in the Technology category. The “Forbes Middle East” website also said the achievers’ “technological innovations have closed a market gap or have created a niche concept that has earned global acclaim.” And AlMarri, who works for Tamkeen Technologies, has certainly broken new grounds with her 3D printed robotic hand. The hand translates Arabic texts entered in an app to their equivalent Arabic sign language. These alphabetic hand gestures act as a means of communication between people who are deaf or deaf-blind and the world. Plus, the brainchild can be used as a tool to teach sign language for deaf people as well as anyone who wants to learn it. 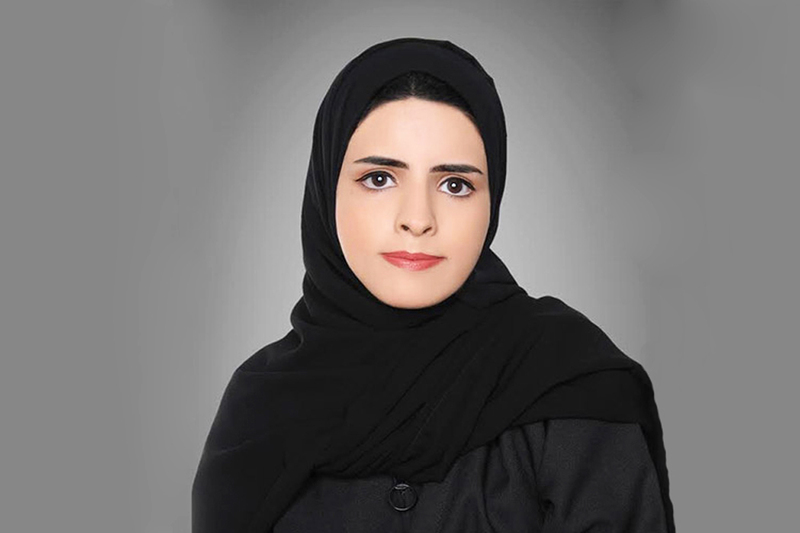 AlMarri has said her team’s invention was part of a graduation project while she was studying Computer Science at the College of Computer Information and Sciences in Riyadh’s Imam Mohammed Ibn Saudi Islamic University. The four-student project was entitled ‘Designing a Robotic Hand for Arabic Sign Language Teaching and Translation.’ She has also said the idea for the invention came after watching a TV interview with a deaf-blind person. The technology buff has been steadily cementing her place as one of the region’s young innovators helping to advance technology and science. Last year, the AlMarri team was one of the winners of the ‘Innovators Under 35’ competition at EmTech MENA, a tech conference that was held in Dubai. AlMarri was subsequently honoured by the emirate’s crown prince Sheikh Hamdan bin Mohammed Al-Maktoum. She was also toasted by “MIT Technology Review Arabia” when she was included in their inaugural ‘Innovators Under 35 MENA’ list in 2018.